Another busy week bites the dust, and all of a sudden it’s British Summertime (not that you’d know it from the weather forecast), we’ve lost an hour but gained some daylight, and Easter is just around the corner. 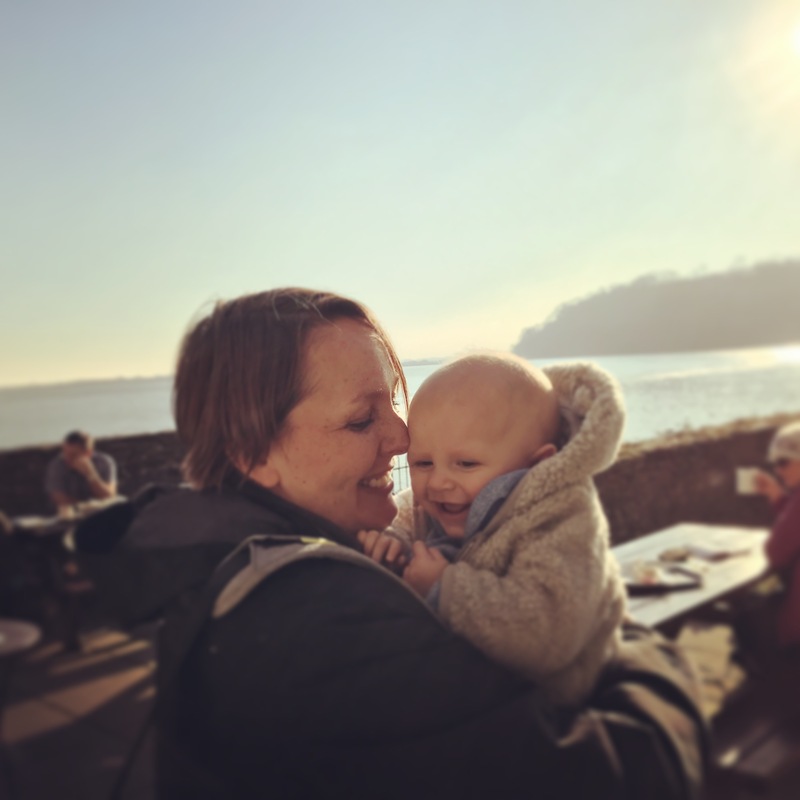 We had a good week this week of keeping to plan and that always pleases me, especially when Ioan eats everything I make as well. First up was the Gorgonzola and walnut ravioli from M&S, which I will definitely be buying again. I have a terrible struggle getting Andrew (not Ioan!) to eat vegetarian food, but he thought these ravioli were delicious. I think I will try to make them myself (possibly a dream which will never see realisation!). With them, I served a sauce made with cherry tomatoes which I lightly fried with olive oil and garlic, and grated a little parmesan on top. Ioan had Peppa Pig shaped pasta with the sauce! 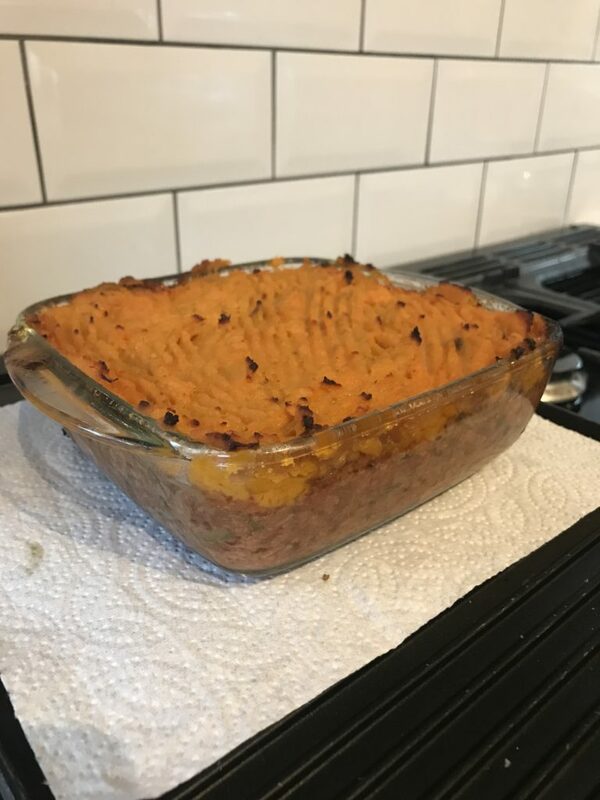 My veggie-packed shepherds pie was another winner for both Ioan and me: I grated 2 carrots and 2 courgettes into 500g lamb mince, plus a finely chopped onion, a tin of tomatoes, and an oxo cube. 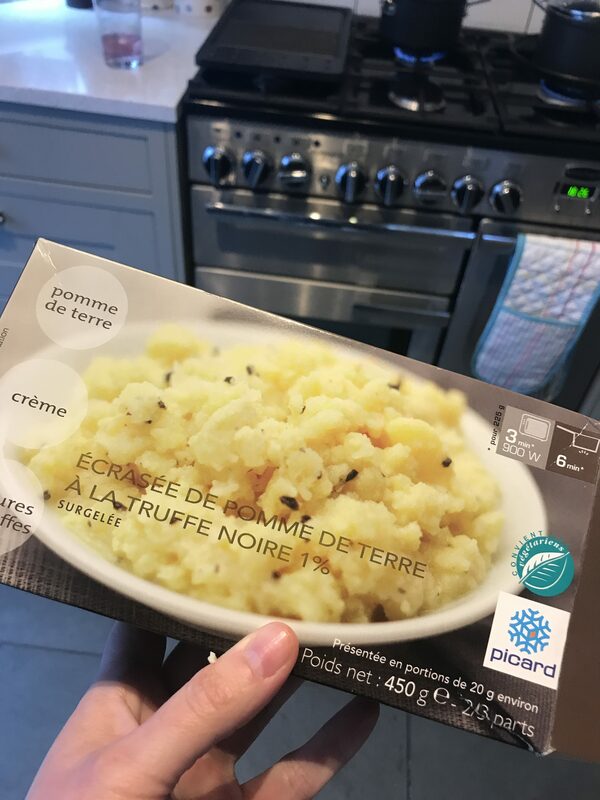 I cooked this until the vegetables had softened (and all but disappeared), and topped the mince with sweet potato mash. Lamb works very well with the sweet mash, and both Ioan and I enjoyed the combination. And with every mouthful that Ioan took, I congratulated myself in sneaking vegetables into his diet. There’s something incredibly comforting about feeding your child good food, especially when usually they point-blank refuse it! 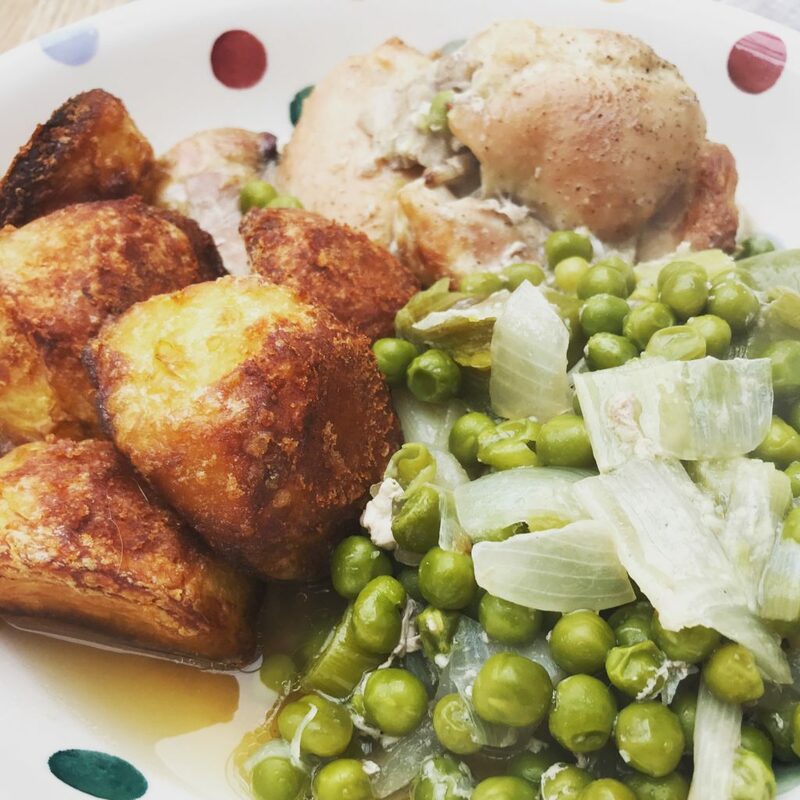 My other meal of note this week was an alternative Sunday lunch inspired by Nigella Lawson’s chicken and pea traybake. 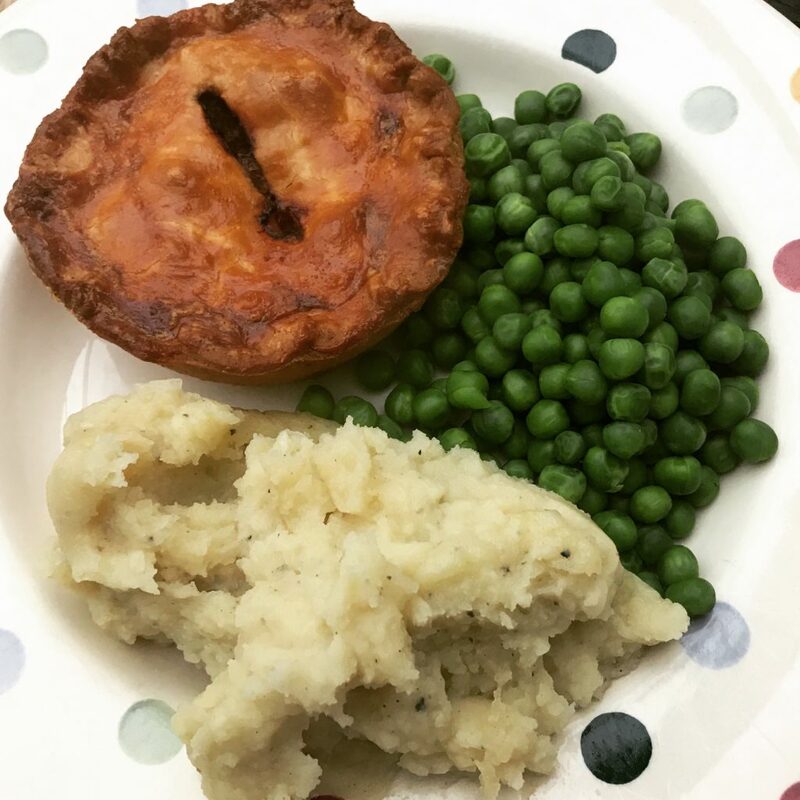 I say ‘inspired’ because although I didn’t dig out my recipe book to follow Nigella’s processes, I have made it once before and I am pretty sure I automatically replicated her recipe – perhaps using more leeks than peas. Once again, Ioan wolfed down his dinner, and I again felt the warm glow of being a successful feeder! Needless to say, Andrew loved it to. 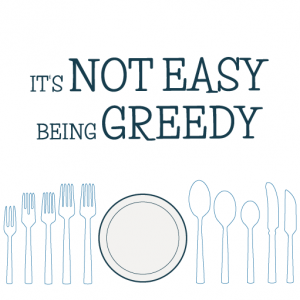 This week I am aiming for more of the same with Ioan, although it wouldn’t surprise me if once again he decides not to let a morsel of my lovingly prepared food pass his lips. We will see – I’ll let you know next week! 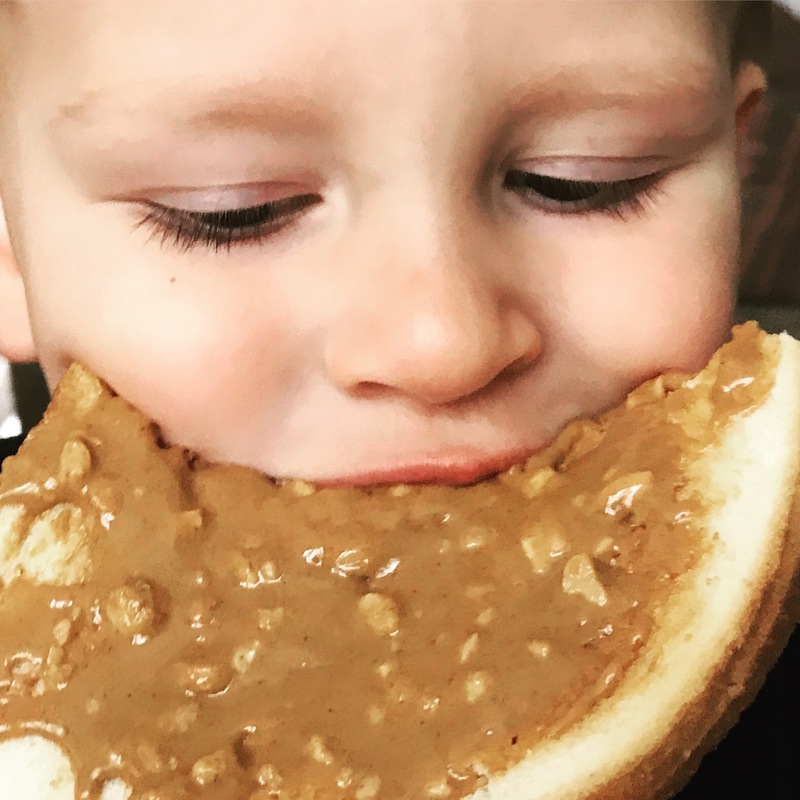 If he doesn’t eat my meals, I can probably get by with feeding him his current favourites – crumpets with lashings of butter, and marmite peanut butter on toast (tastes like dry roasted peanuts smashed up on toast – utterly bloody delicious! ).